The introduction and passing of the Criminal Procedure Code (Amendment) Bills into parliament which were promulgated as Ordinances by the Caretaker Government separating judiciary from the clutches of the executive are now under political conundrum. The Judicial Service Association as well as the lawyers' community in general expects that the two Ordinances be passed as laws by the parliament without any amendment as this would be in line with the directives in Masder Hossain case. On the other hand, the parliamentary standing committee on law, succumbing to the mounting pressure from the admin cadre, has decided to recommend that the parliament vests authority in the government to empower executive magistrates to take cognizance in 'extraordinary circumstances' or 'in all circumstances' and then to send the same for trial to judicial magistrates. The Committee has also suggested that this power of cognizance will be given to executive magistrates for maintaining law and order situation and this has nothing to do with the trial and giving punishment. This logic sounds easy but the consequence will lead to a very sordid picture in ensuring rule of law in the country. The strength of this easy logic of mere cognizance power is being cemented by another argument that the provisions in Article 22 of the Constitution on the basis of which separation has been done are not judicially enforceable. If cognizance power is given to executive magistrates under section 190 of the CrPC, it will certainly go against the spirit of separation of judiciary and directives given by the apex court in Masder Hossain case. Giving cognizance power to executive magistrates will give rise to a very simple question: will it be an executive and/or administrative power or judicial power? It has been repeatedly held by our apex court in line with consistent decisions in Indian Sub-continent that taking cognizance is a judicial power and any misuse or abuse of such power is to be corrected thorough judicial process. Usually this is done by filing an application in the High Court Division under section 561A of the CrPC. However, an executive power cannot be questioned by 561A application. Thus if cognizance power is given to executive magistrates, how will the apex court exercise its supervisory power? So the accommodation of powers between judicial and executive magistrates will be difficult. Let me give an example. An executive magistrate refuses to take cognizance of a petition or FIR. What will be the remedy for the petitioner or informant? Where will he file application against the decision of the executive magistrate, given that an executive magistrate is not under the jurisdiction of judicial authorities? As taking cognizance is a judicial proceeding, a revisional application to an upper judicial organ is always possible but if that power is exercised by an executive magistrate, this will not be possible and the ultimate result will lead to a power clash between two authorities. Secondly, the legislators must remember that CrPC is a general law and the provisions of general laws are always subject to the provisions of special laws. Cognizance powers including power of trial are often given to executive or administrative authorities by special laws like the Mobile Court Ordinance, 2007, the Pure Food Ordinance, 1959, the Animals Slaughter and Meat Control Act, 1957, the Prevention of Smoking Act etc. The parliament may give cognizance power to executive magistrates by special laws like the Special Powers Act if needed in special circumstances but giving a blanket power to take cognizance in a general law like the CrPC will mean dependent dispensation of judicial functions like before. Thirdly, as cognizance power is a judicial power, and the same would be exercised by an executive magistrate, he must be armed with subsequent powers associated with it as laid down in section 200 of the CrPC which will ultimately come into conflict with the historic verdict in Masder Hossain case as there will no longer remain a separate judiciary. 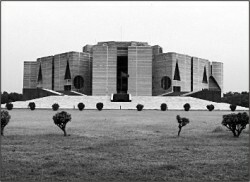 This is because the Appellate Division held in Masder Hossain case that “judicial service is fundamentally and structurally distinct and separate service from the civil executive and administrative services of the Republic with which the judicial service cannot be placed on par on any account and that it cannot be amalgamated, abolished, replaced, mixed up and tied together with the civil executive and administrative services.” (para 76). A vaunting chorus is in the air that since Article 22 is not judicially enforceable, the separation of judiciary as implemented by the two Ordinances amending CrPC by the Caretaker Government is invalid. Those who join this chorus should bear in mind that the Appellate Division while delivering its judgment nowhere mentioned that it was giving directions to government to implement Article 22 although Justice Latifur Rahman referred to this Article in paragraph 78 of the judgment. The decisions and directions given in Masder Hossain case are based on interpretation of Articles 115, 116, 116A of the Constitution which are mandatory in nature. Further, like Article 22 there are 18 Articles in the Constitution which are not judicially enforceable. They are not judicially enforceable as such but the Constitution itself makes it clear that these directives shall be applied in making laws by the Government and parliament and they shall act as guide to the interpretation of the constitution and laws of the country. Fundamental principles enunciated in the constitution like Article 22 are not empty rhetoric; they are political commitments to the nation and the elected governments are oath bound to implement them on priority basis. Separation of judiciary from the clutches of the executive has been a long cry for the interest of rule of law and democracy since the British regime. The British administration introduced this mixed system and they did not separate the judiciary thinking that separation might go against their colonial interest. However, the ghost of that colonial regime still haunts us although we are very critical of that colonial regime. In our independent history every government and every political party has had avowed manifestos and commitment to separate judiciary from the clutches of the executive; alas! Every political government betrayed this nation for reasons best known to them. It was such a long and tormenting struggle that the Supreme Court itself had to give directions to the Government to separate judiciary although it should have been done by virtue of political will of the party in power. Why the people in admin cadre covet this judicial power given that they have no required qualification in law? Do we approach a person for medical treatment who does not have MBBS degree? It is clear these admin cadre people want to use this power just with a view to harassing ordinary people in the name of justice. If the political government echoes such unrealistic demand of the admin cadre officers under pressure, what political will the parliament and the majority party is holding now? If the present government with such a massive political support does not pass the law to separate judiciary in a proper manner, it will leave another blackest chapter in the history of this unfortunate nation. Let it not happen. Md. Abdul Halim is Bar-at-Law and Advocate of the Supreme Court.